2 WEEKS UNTIL THE NJ ELITE PROSPECT CLINIC - SIGN UP TODAY! 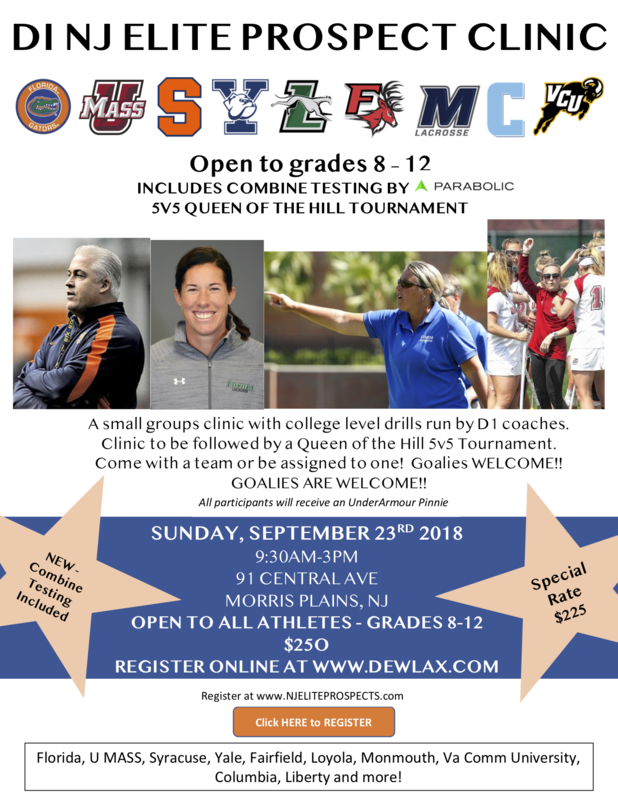 Do you want to play college lacrosse? Come see what its all about! Participate in Baseline Combine Testing, learn from some of the sports greatest coaches and players and compete in front of D1 college coaches and more! Participate in Baseline Combine Testing, learn from some of the sports greatest coaches and players and compete in front of D1 college coaches and more!